Interstate Electronic Systems, LLC. 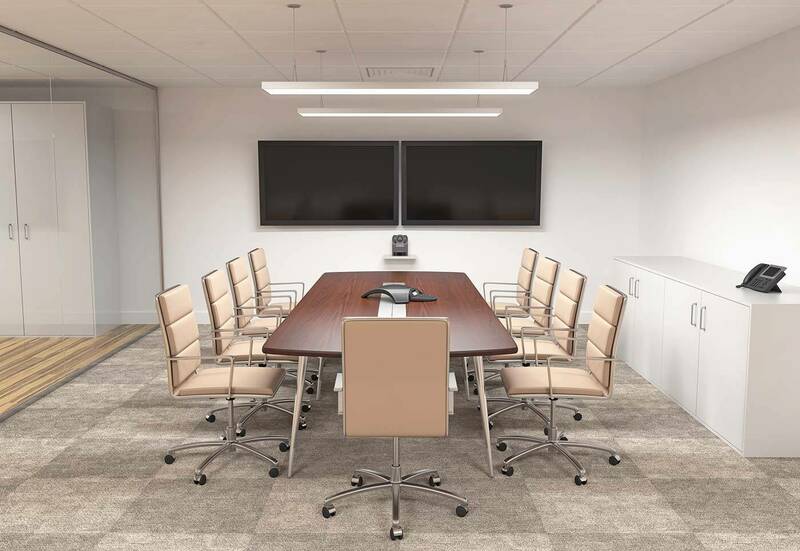 specializes in the design and installation of high-end board rooms and conference rooms for major corporations and institutions. By merging the latest in presentation and communication technology with state of the art furniture and concealment options, IES is poised to deliver fully functional meeting, conferencing and presentation spaces that are easy to use and extremely attractive. Whether your room requires a basic presentation system or state of the art audio and videoconferencing system, IES can provide the solution for you. 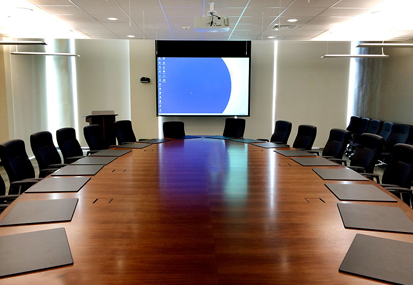 IES recently completed installing a new state of the art presentation and communications system in a board room for one of the region’s largest medical providers. Features include the ability of attendees to present information from several sources, including but not limited to PCs, Blu-Ray Players and Satellite Television. Also, inputs for various electronic devices are located within the conference table, inputs blend into the table when not in use thus limiting the impact on the room’s aesthetics. Technologies present, provide a variety of conferencing options for board members including: Video and telephone conferencing; webcasting; cameras with the ability to capture multiple angles or presets; discreet microphones so that audio can be captured from any location in the room (deleting the traditional individual microphones). Presenters can send camera shots, presentations or both simultaneously to the far end participants. Additionally, audio and video can be streamed and/or recorded. Therefore, the technology that IES has incorporated into this board room allows members to conduct meetings, presentations and conferences in a very functional, attractive and comfortable space. 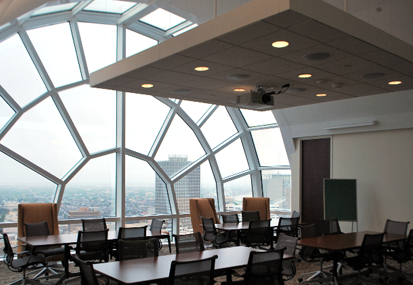 IES designed and installed a state of the art presentation and conferencing systems in the newly constructed executive conference room on the 26th floor of a downtown high rise suite for one of New Orleans’ largest healthcare providers. The system consists of an automated projector, screens and lighting, as well as audio and video conferencing. All systems are simplified and user-friendly, allowing users to run the entire room with the push of a few buttons from a customized 9” touch panel. Due to the room’s modular design and moveable furniture, IES had to design a unique conference solution utilizing wireless boundary microphones to accommodate the modular design of the room and allow users to participate in video and audio conferences regardless of the arrangement of the room.